Top 2 Pinoy super lightweight boxer Al Rivera vs Cabalquinto rematch will happen on November 25, 2016 at Brusmick Commercial Center, Santa Rosa City, Laguna, Philippines. They will fight for the OPBF super lightweight title. Al Rivera is currently the no. 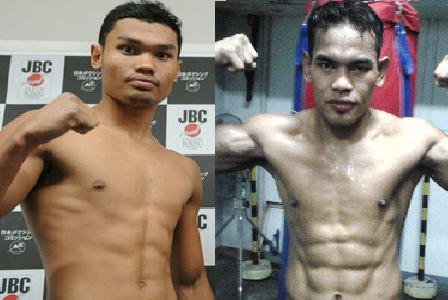 1 Super lightweight boxer in the Philippines. He has a record consisting of 16 wins including 14 KO's with only 2 defeats. Rivera is the current OPBF super lightweight champion defeating the Japanese Shinya Iwabuchi last February by TKO. Al Rivera only lost to Leonardo Doronio and Jeffrey Dumaguit by KO. In his last fight, Rivera knocks out the Filipino veteran Richard Olisa in the 2nd round. On the other hand, Cabalquinto is coming off a unanimous decision loss to Qudratillo Abduqaxorov of Uzbekistan last July of 2016. Cabalquinto with the record of 23 wins including 15 big KO's with only 2 defeats is currently the no. 3 Superlightweight fighter in the Philippines behinds the no. 2 Ricky Sismundo. He is a former WBC Asian Boxing Council super lightweight champion and former Philippines Boxing Federation (PBF) lightweight champion. Al Rivera and Cabalquinto once met in November of 2015, and Al Rivera just knocked out Cabalquinto in the very 1st round of the fight.